Having a rough time with your sleep because of a bad back? We get it. It’s already a struggle during the day to get around or sitting for a while. Why go through more pain during the night as well? 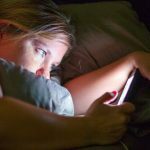 At some point in our lives, we have all experienced nights of bad sleep; this can cause us discomforts and pains that put us in a foul mood all day. There are a lot of reasons for our bed to begin affecting our back (besides our own doing). Whatever the case, quality sleep is important. Good sleep makes you feel better. It improves your lifestyle and health: better memory, lowers blood pressure, spurs creativity, improves grades and performance, sharpens attention, lowers the levels of stress and many more. Sometimes we can’t buy a new mattress. Other times, it doesn’t make sense to buy a new mattress. For these situations, you can rely on a mattress pad. A mattress pad is set to go over your existing bed, providing an extra layer of comfort and a better night’s sleep for its owner; and best of all, their cost is much lower than new beds, making them accessible to any budget. It can also act as protection for your mattress from spills and stains. Since most mattress pads come with extra grip and rounded edges,they can keep slippery sheets in place. There are all kinds of mattress pads on the market with different materials, shapes and sizes. In this guide, we research and found the top 3 best mattress pad for back pain and bad backs. 2 What’s the Difference Between a Mattress Protector and a Mattress Pad? This a perfect option if you’re looking for something simple, comfortable and cool. It has no odor and it’s made with micro plush fiber and filled with polyester. It comes in all sizes, except Full Size: Twin, Twin XL, Queen, King, and California King. The model is end-to-end stitched with mitered border to prevent fill from shifting. It also has deep pockets to fit mattresses up to 18 inches deep, and allows it to double as a protector. Reviewer Candace gave it a 4.5/5 stars and said: “Immediately, I could tell the quality of this pad when I opened it. It’s thick, soft, plush and the stitching rocks”. For the washing, it recommends leaving that to the professionals because parts could melt, but if the stain is small, you could use a simple stain remover. 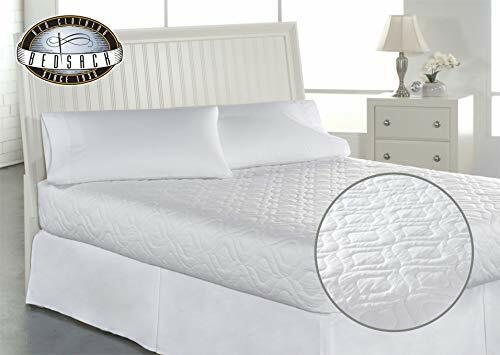 This mattress pad is best suited for thermally incompatible couple, hot flashes and people that sleep hot, because it is temperature regulating. It will help you and your love ones to sleep cooler from now on. It’s made from bamboo-derived rayon, and it fits all bed sizes. According to reviewer christie5683 “I have never been so comfortable sleeping!!! I have had 5 back surgeries and it’s been a buggar finding something comfortable. Only problem is I washed and dried it and it fell apart. I think I was supposed to air dry because it came out of the washer just fine. Ordered another one; in the meantime, I am sleeping on 3 comforters and sheet…. still not comfortable. I wake feeling beat up in the am. Anyone with a bad back will love this!!!! This is my review and I wasn’t paid for it.”. This item is a little bit pricier than others, but it’s comfortable and it holds up well in the washer and dryer. The ExceptionalSheets Mattress Pad can also make memory foam mattresses much cooler and comfortable to lay for a night of sleep. If you’re looking for a hypoallergenic solution, and your budget is very tight, this mattress pad is perfect for you. It is made from polyester fiberfill material and fits for Twin, Twin XL, Full, Queen and King. This soft pad is also covers completely and protects top and side of the mattress. 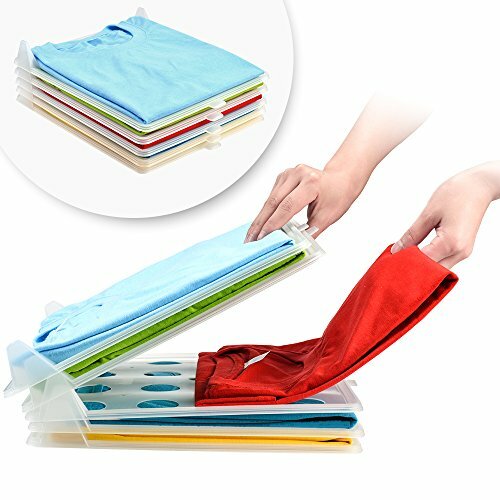 In addition it can be machine washed and dried. 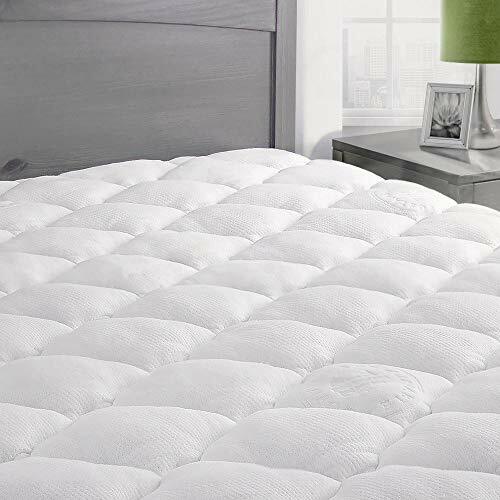 Reviewer Jamie gives it a five star review and said “good mattress pad to keep my mattress clean and provides comfort”. Although it has a lot of mixed reviews on Amazon.com because it seems to not fit many of the thicker mattresses, this item is an extremely economical solution to rejuvenate your bed, to a better fit for your sheets and for people with allergies. What’s the Difference Between a Mattress Protector and a Mattress Pad? A mattress protector sits directly on the surface of your bed, but below your bed sheets. In a way, it’s like a fitted sheet covering the mattress. They are designed to repel liquids and prevent other damages: dirt, dust, allergens, etc. It comes in handy when you have children and pets, so you can keep the bed fresh and clean. In the other hand a mattress pad, as we’ve been describing, is a little different since they also provide extra comfort, warmth and some models can help with particular health issues such as back or neck pain, arthritis and light sleepers. In addition, there are memory foam mattress pads that offer unique flexible foam that responds to body temperature and conforms to the body to minimize pressure points, creating a deeper, more restful sleep. Others have a built-in waterproof backing underneath the padding; this way you can have breakfast in bed without worrying about stains in your mattress. Mattress Pads also help you prolong the life of a mattress or refresh an old mattress. In the long term, you can view the mattress pad as a money “saving” purchase. If you’re replacing your bed with a new one, it’s highly recommended to buy a protector or a pad, because they are an inexpensive way to ensure your mattress stays nice for years. Mattress pads can be found in all shapes and sizes. They usually fit well on most standard-size mattresses, including cribs. The most popular style looks like a fitted bed sheet: the top is padded and the sides are elasticized; this way you can tuck it under the entire mattress. There is a second option known as the anchored type: this is a quilted pad with elastic straps at the four corners and these help secure it in place to the mattress. This style generally has a lower cost but sadly the mattress pad can slip around in the middle and the straps can become loose over time. And the third model is the least expensive. This one has no attachments at all: it just lies on top of the mattress. It’s a simple quilted piece, but then again it’s prone to movement. The tops of many of them are made from 100% cotton, and the interior of these pads are usually filled with polyester fiberfill, wool, cotton or latex. For allergen barriers mattress pads, manufacturers often use other materials like vinyl and polyurethane. Bamboo blend material is also a great choice because they allow airflow and give a fresh crisp feel every night for a cool sleep. The cotton ones tend to be thinner and quilted, plus they can be machine washed. Latex and wool pads are more durable than cotton, because they are dust mite and mold-resistant. Another benefit of wool pads is that they are absorbent, so this makes them good for the warmer months and they help keeping you cool. And latex can last for 20 years or more, and that’s outstanding in the test of time. The options for mattress pads are infinite with so many different features and benefits. Most of them will add an extra layer of comfort so your body can rest through the entire night and your health will improve noticeably. The best mattress pads for back pain decrease pressure on the body, allowing better blood flow and preventing sores in people spend a lot of time in bed. The thicker pads are excellent choices when you want both advantages: support and protection. When you’re shopping for a mattress pad, remember to look for one that is stretch-to-fit, a quilted top and machine washable is definitely a plus. Don’t forget our recommendations either. The Pinzon Basics Overfilled Ultra Soft Microplush Pad is simple, comfortable and cool. Thanks for the reviews on these mattress pads. I was looking for such reviews as I need to buy a high quality mattress pad for my new mattress.